Mrs. Derby began her training in Petaluma under Mary Paula, then director of Petaluma School of Ballet. She continued her studies at San Francisco Ballet, dancing with Marin Ballet, Rhebus Modern Dance Company and Sonoma County Ballet Company. She has two Bachelor of Arts Degrees from San Francisco State University in Dance and Technical Theater and has taught dance for many years in Sonoma County, purchasing Petaluma School of Ballet in 1982 and becoming director of North Coast Ballet California in 1985. Zoura O'Neill has been on staff at Petaluma School of Ballet since 1985. She enjoys teaching all levels of ballet and is the Co-Artistic Director of North Coast Ballet California. Zoura taught ballet and character to the Junior Level dancers at Regional Dance America/Pacific's Festivals in 2015 and 2016. She has choreographed many classical and contemporary works for NCBC and full length story ballets as well. Ms. O'Neill's early training began at Petaluma School of Ballet under the direction of Mary Paula. She also trained with Anita Kane and Harold Christensen. Zoura was awarded a full scholarship to San Francisco Ballet's Summer Intensive in 1978 and 1979 and was then invited to train at SFB year round on scholarship under the direction of Richard Cammack. Her teachers included Zola Dishong, Christine Bering, Anatole Vilzak, Jocelyn Vollmar and Larry Grenier. She performed in SFB's Nutcrackers and Spring concerts. Zoura was invited to perform in San Francisco Ballet's 50th Anniversary Gala as a Flower in Lew Christensen's Waltz of the Flowers from The Nutcracker. Gene Kelly was the Master of Ceremonies and Zoura was thrilled to have met him! Zoura was one of the original company dancers of Petaluma City Ballet (now North Coast Ballet California) and also performed with Redwood Empire Ballet and Marin Ballet. As a company dancer with Marin Ballet, Zoura performed in the annual Nutcracker Ballet as well as Spring Productions. She danced the lead role of Fortuna in Ruth Petrinovic's Carmina Burana. Zoura went on to receive her Associate of Arts Degree from SRJC and her Bachelor of Arts degree from Sonoma State University. She completed the Teacher Training Course from Central Pennsylvania Youth Ballet and is a certified Progressing Ballet Technique Instructor. Zoura has been passionate about musical theatre since a child. As a teen she performed in Petaluma's Harmoneers & Harmonettes productions of Hello Dolly, Annie Get Your Gun, Oklahoma and The Music Man. She also was The Experiential Theater Company Choreographer for their production of Chorus Line and Godspell. Her love of tap dancing and Musical Theatre still continues as she passes on her knowledge and love of dance to her students. Besides all that is dance, Zoura enjoys boating and camping with her family, scrapbooking with friends and wine tasting in our beautiful wine country. Mrs. Jasoni began her ballet training with her aunt Anabel Mueller and teacher/choreographer Mm. Olga Ziceva. She also studied at San Francisco Ballet School with Harold and Lew Christensen. In 1961 she received her Bachelor of Fine Arts degree from University of Utah where her ballet instructors were Willam Christensen and Gordon Paxman. While at U. of U. she was a student teacher and took over teaching duties at various times. After graduating she joined Alan Howard's Pacific Ballet. In 1963 she retired from the ballet world to marry and raise a family. In 1978 she reentered the ballet world as a teacher for Petaluma School of Ballet under the direction of Mary Paula, and then Ann Derby. She has taught at various schools in Sonoma County for over 35 years. Ms. Katy is a Children's Division teacher at Petaluma School of Ballet. She began her dance training here and has received additional training from San Francisco Conservatory of Dance, Sacramento Ballet, Central Pennsylvania Youth Ballet and Milwaukee Ballet School. Katy was also a senior member of Petaluma City Ballet (now North Coast Ballet California) performing such roles as Swanhilda in Coppelia, Princess Florine in Sleeping Beauty and The Sugar Plum Fairy in The Nutcracker. She supports PSB in its professional level training and performance quality as well as the life long lessons (and friends!) that come from being a dancer here. In her spare time she enjoys Giants baseball, taking Inferno Hot Pilates and snuggling with her dogs, Sophie and Stella. In 1994, Jennifer became a founding member of Smuin Ballet S/F where she danced until 1998 performing principle roles in the Christmas Ballet, Dances with Songs, Bouquet, Songs of Mahler, the Tempest Suite, and others. With the company she has had the honor of being on film in the Fantastiks, A Walk in the Clouds, and the Return of the Jedi Special Edition. In addition, Jennifer performed in the televised broadcast of Ira Gershwin at 100 live from Carnegie Hall. 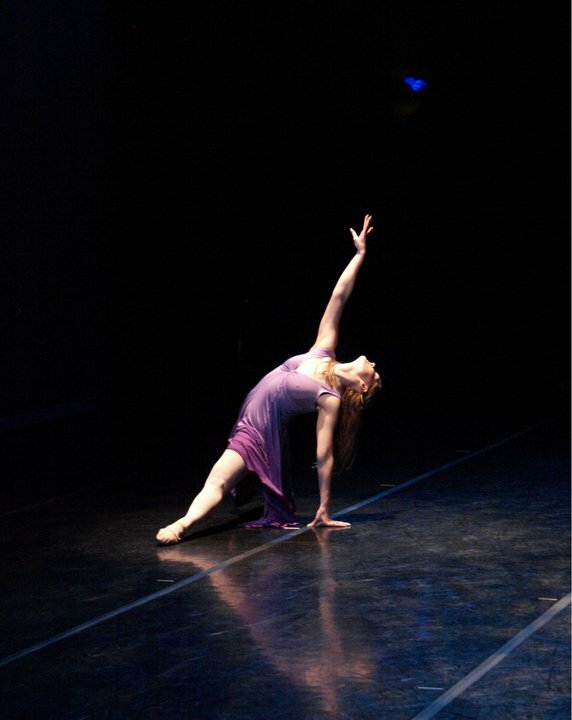 She has also danced with The San Francisco Opera, Houston Grand Opera, Sacramento Ballet, and The Ohio Ballet. Jennifer has taught at numerous Bay Area studios including San Francisco Dance Center, Westlake School for Performing Arts, Berkeley Ballet Theater, and Stapelton School of the Performing Arts. In addition to PSB, she also teaches at Sonoma State University. Jennifer is working on completing her Master’s degree in History and enjoys taking ballet class and spending time with her fiancee and young son. Ms. Sam joined the teaching staff in 2013 and enjoys teaching a wide range of dancers from our three year olds all the way up to our adults. She joined Petaluma school of Ballet as a dancer at the age of three. She was trained in classical ballet under the direction of Ann Derby with Zoura O’Neil, and Robert Nichols. She was one of the young dancers to perform in PSB's first nutcracker in 1987 and in following years was honored to perform the rolls of Clara, Snow Queen, and Sugar Plum Fairy. She was also one of the first to join the company now known as North Coast Ballet California when it was first established and had the opportunity to perform and travel throughout high school. Samantha received additional training while studying at summer intensive programs at Ballet West Conservatory, San Francisco Ballet, Joffrey Ballet in New York, and Boston Ballet. Growing up with all these experiences has inspired Samantha to share her love and respect for dance with her students. Samantha has a BA in Liberal Studies with a focus on Child Development and Psychology, and an AA in Social and Behavioral Science. She specializes in working with children who have a variety of special needs. She has enjoyed working in this field for the past 20 years. Philip Amer began his dance training in Eureka, California with the Redwood Concert Ballet. He also studied at the San Francisco Ballet School, under the direction of Richard Cammack, Ballet Celeste International in San Francisco and performed with them in Tokyo, Osaka and Kobe, Japan. Philip has been a guest dancer and teacher at the San Diego Civic Youth Ballet, instructing classes in ballet and pas de deux. His choreography has been performed at Humboldt State University in Arcata, California, the Sherwood Auditorium in La Jolla, California, and Casa de la Cultura in Tijuana, Mexico. Since moving back to the Bay Area Philip has danced with Company C Contemporary Ballet in Walnut Creek and has done numerous Nutcracker guest appearances around the bay.